There comes a time in life when you need that extra money to fulfil your wishes or survive a particular situation. These can be your medical emergencies, planned events or to purchase any large assets. Getting a personal loan is one of the best options in such a situation. You will find many online money lenders which provide a cash loan with minimum documentation. There is no lengthy paperwork involved and the process is extremely user-friendly. Anyone can apply for a personal loan as long as you are 23 years old and above and a salaried employee of a registered company. Even business owners with the business being in existence for the past 3 years can apply for a personal loan. Rajkot is a city situated in the western state of India, Gujarat. It is home to several small-scale industries. The city manufactures jewellery, silk embroideries and much more. One can easily avail a Personal Loan in Rajkot by simply applying on a cash loan app like CASHe. Such apps let you take a short term loan with low interest rates. 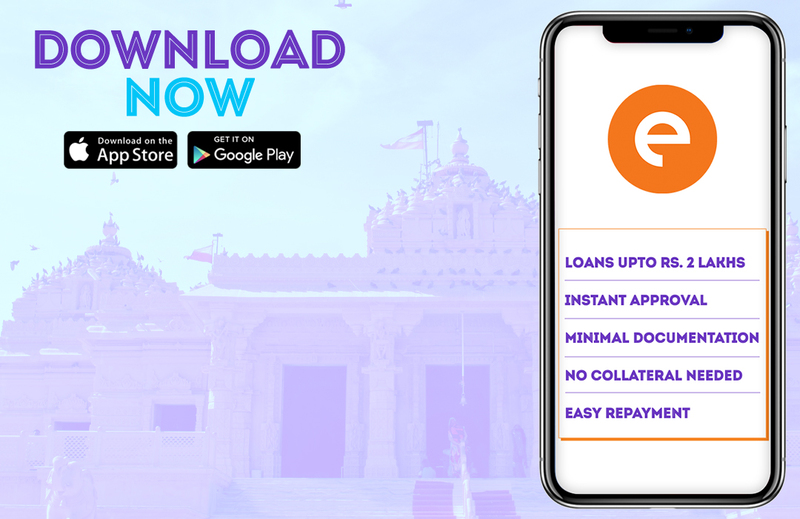 • Download the cash loan app on your smartphone via Google Play Store or Apple App store. • Register yourself on the app with the help of your social media accounts or by entering your basic details. • Once you are registered, the app will then ask you to enter your desired personal loan amount. One can take a loan starting from ₹10,000 to ₹1 to 2 lakhs. • The next step is to set the duration of the loan which can be 15, 30, 60, 90 or 180 days. • Once you enter the cash loan details, you can then see the interest rates. • The next step is to upload the valid and required documents. • The documents include identity proof, address proof, bank statements with your salary credited for the past 6 months, your photograph and income proof. The documents which are valid includes passport, aadhar card, pan card, utility bills, bank statement and last 3 to 6 months’ salary slips. Your employer should have a registered company. • Once you submit the documents the website it will take a couple of minutes to review your personal loan request. Your loan request can get approved on the same day itself. • The loan status can be checked on the app itself. You can see whether it is pending, approved or disapproved. • As your cash loan is approved, the loan amount is then disbursed in your personal savings account within a few minutes. The entire process of applying for the cash loan takes 15 to 20 minutes. You can apply for a personal loan from anywhere in the world, all you need is working internet connection. You are not required to visit any branch or submit any physical documents. As these are unsecured loans, you don’t have to showcase any asset ownership.